Awoke feeling uncertain, kind of aimless and (for the first time in this journey) unmotivated to charge onward in search of ancestors. The thought of searching through Portland for evidence of the Tanners seemed unappealing, so I decided, instead, to head to my favourite beach: Parsons Beach in Kennebunk. I just wanted to walk a beautiful stretch of beach and let my mind wander. 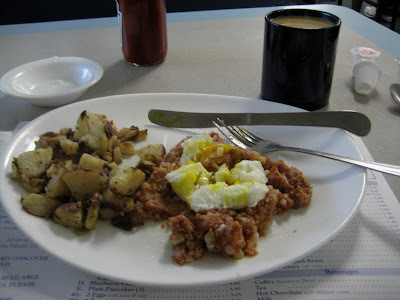 On the way, I stopped for breakfast at the Maine Diner – poached eggs on corned beef hash with hash browns and endless (weak) coffee. 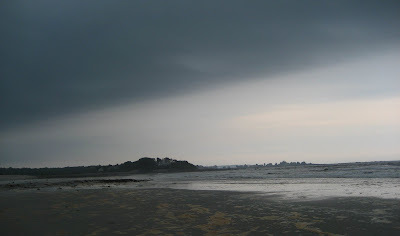 I reached Parsons jut as the sky was beginning to darken with storm clouds., but it felt wonderful to be there . 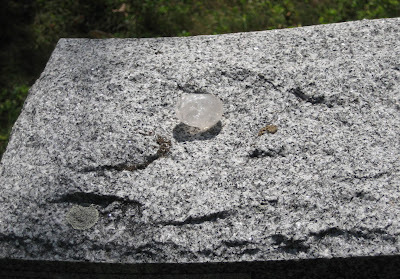 Along the way, I picked up a beautiful pair of smooth granite stones that seem to fit perfectly together. Though the beach was every bit as beautiful as I’d remembered and walking it did me good, I still felt uncertain about my direction. 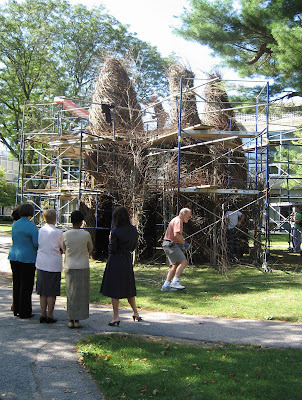 I decided to head south – to Wheaton College in Norton on the Massachusetts/Rhode Island border where I hoped to have the chance to meet up with Patrick Dougherty and participate in the installation of one of his artworks. I drove all day in heavy rain through heavier traffic in a kind of suspended state. 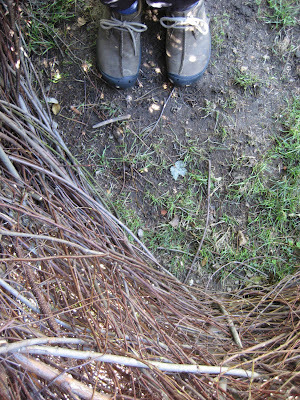 Still unclear about where to go next in my ancestral search, catching up with Patrick Dougherty seemed the best thing to do. The next day I woke to a computer with what seemed to be a fatal illness: It struggled to open and when it finally did, all my files seemed to be missing. I immediately called Max (my computer guru) and he helped me find my files which now (for some unknown reason) were tucked neatly away in the recesses of my C drive. Regardless, I was elated that they were still there at all and decided to stay with my plan. I went to meet Patrick. First thing he did was to put me to work, which in my unusually inarticulate and muddled state, was the perfect thing to do. I worked for a couple of hours and then we went to lunch and talked a bit about his work and mine. I told him that I was trying to understand the relationship between the landscapes of our ancestors and our own sense of belonging He said that he thought that the landscapes we are born to imprint on us in much he same way that a mother duck is imprinted on her offspring and told me about his father, who came originally from the prairie and never quite felt at home in the mountains of North Carolina where they’d moved. I went back to work for a few more hours along with several other volunteers: some students and some, like me, just fans of the work. 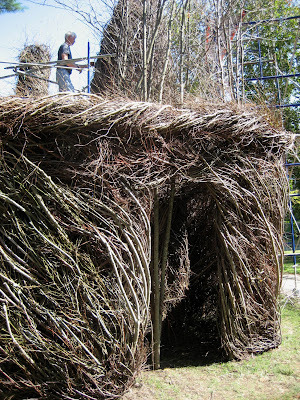 I enjoyed the sensation of working collaboratively on a piece that felt to me like a shelter, a tribal longhouse. I asked Patrick if anyone had ever taken up residence in one of his pieces. He told me that it had happened only once: he was installing a work in Chicago and a homeless woman decided it would be a good place to sleep. That would have been fine, except she urinated there, too. Patrick finally asked her to (please) not pee on the work, so she peed in bottles instead and left them lined up for him inside. Back in the hotel, I called Kathy and told her about my computer woes. She told me she’d had a similar problem and had discovered XP’s sytem repair tool. I tried it and Halleluja! it worked. My computer was back to normal! 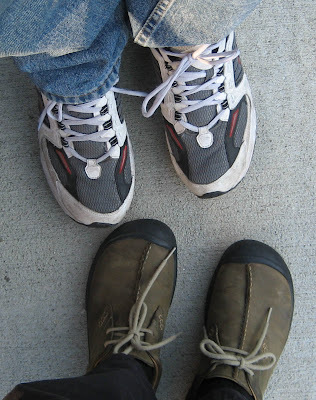 Next day, I went to say goodbye to Patrick and arranged to meet up again in Colorado in November. 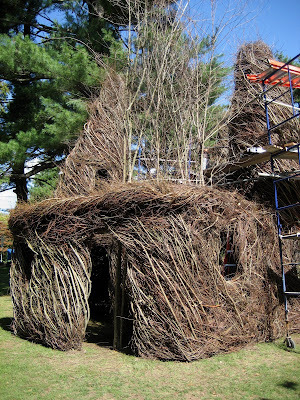 I hope to be able to interview him while he’s installing a work at Colorado College. 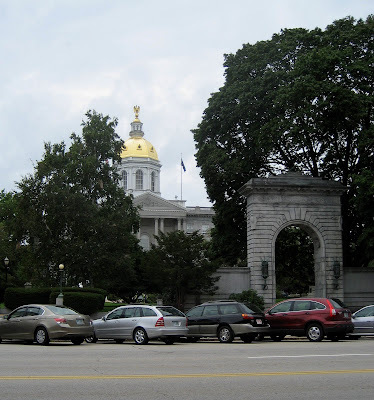 I headed next to the National Archives in Waltham, Mass. where I found the original naturalisation records for George Tanner. I’d hoped also to find the passenger list listing their arrival in Boston, but had no luck. 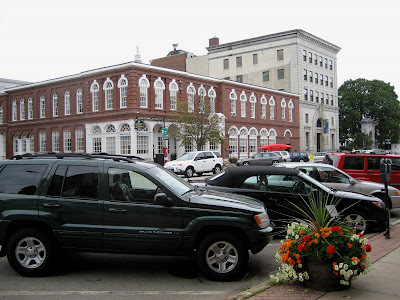 I got back in the car and drove through towns I’ve known all my life: up route 60 through Arlington, Medford and Malden and then up route 1 and 128 to Beverly and the first home I remember – my family moved to Beverly when I was 9 months old and it’s where I knew what it felt like to be part of a tribe: my grandparents were always around, so were my aunts, great-aunts, uncles great-uncles & cousins. When I was 9, we moved away in the first of many moves that would take us further and further away. Part of the mobile corporate generation, my family moved often as we followed my father’s job promotions. It was an adventure I enjoyed, but one that left a legacy of disconnection: When we left Beverly, we also left tribe behind. I’m not sure quite how, but I found the house. It didn’t feel familiar, nor did the community: it felt small, provincial, conservative and very,very white. I felt grateful for vibrant diversity of Fremantle. 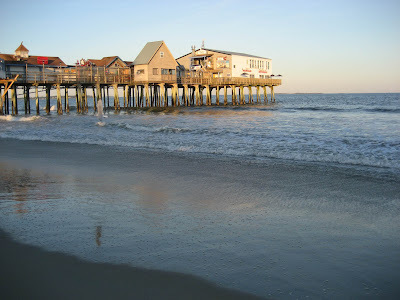 I continued north and found myself driving along the New Hampshire coastline from rye beach to Portsmouth at sunset. 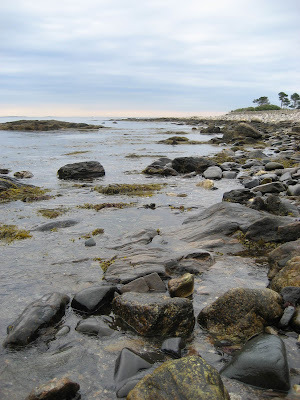 The ocean was bathed in a kind of beautiful, golden light I’ve only ever seen in New England and along the way, I passed some favourite stretches of beach - Odiorne Point and Wallis Sands. I found a hotel and was greeted by an Indian desk clerk who, when he learned I was from W Australia, immediately started to talk enthusiastically about Ricky Ponting, Andrew Simonds and Aussie Cricket. I mustered all the sports talk I could think of because he was clearly desperate for it and for the first time in my life wished that I knew more about cricket! 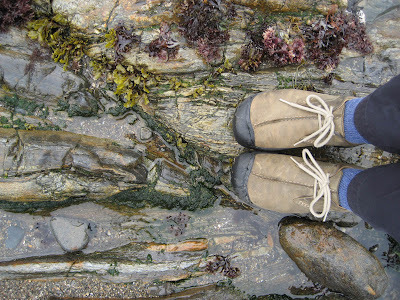 The next day began with a walk along the rocky coastline at Odiorne Point, but I was kind of wondering what I was doing there. It has no real relationship to my ancestry, but I love the place and felt connected and at home. 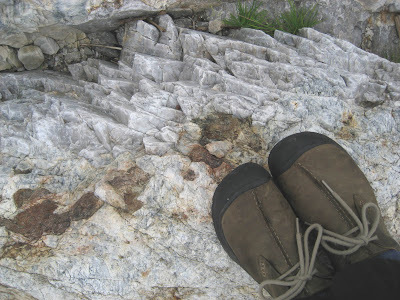 I was scrambling around some large rocks and rockpools, when I found a giant vein of quartz running through a granite ledge. I began to gather some pieces when it suddenly dawned on me that the quartz was my reason for being here and that Odiorne might provide the quartz I need for my work with the ancestors – just as the quartz found at Newgrange and Knowth had come from far away mountains. Excited and energised, I picked up several chunks. 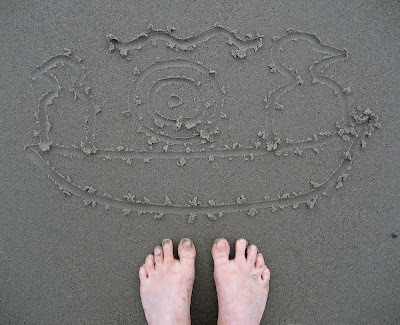 I went next to Wallis Sands – a great stretch of fine sandy beach, where I thought I might draw another practice glyph in the sand. This one felt surer that the first and I felt like I was finally back on track. It occurred to me that I should record the sound of the surf, so I drove to Rye Beach. I got out of the car and was walking down the beach towards the water, thinking about the ideas that had been flying through my head all day (about the quartz, the glyph, the sounds and what it all means; about what I was doing in relationship to the ancestors) and wondering if I was on the right track with any of it when I looked up and saw 4 crows in the midst of a flock of gulls. And thought ‘”Okay, I get it. I’m on track”. Thank you, crows. 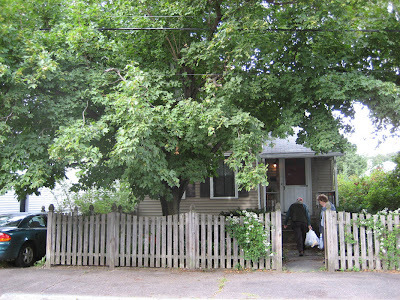 I felt unprepared for the energies of the Noble St house and uncertain as to what work I wanted to do there, so I decided to head north: to NH where Ed and I settled after grad school, where we’d lived for most of our married life, where Max was born and spent his first 10 years...where we had friends, habits & history. Obviously, for me, it’s a place thick with memories – most, but not all of them, good. I spent the weekend with my very dear friends George and Janet Samuels –and except for the fact that they now share their lives with a remarkable, wonderful, enjoyable, clever, articulate and talented young man (their grown son, Mickey-Michael-Mike), they haven’t changed. George is an insightful, urban and urbane scamp and Janet has a unique way of being in the world –there’s no one quite like her – and wields an understated and edgy humour that I would bet most people fail to get. They've been loyal, supportive and accepting friends throughout all my traumas and dramas and I value them beyond measure for it: I loved them then, I love them still. An added joy was having the opportunity to get to know the adult Mickey-Michael-Mike. I knew that he was a writer and immediately asked him if I could read something he's written. He gave me a beautifully written, remarkably lucid and poignant short story that I would have loved and admired even if I hadn't known the author since he was born. I'm adding Mickey-Michael-Mike to my list of reasons to be excited about (and hopeful for) the future. 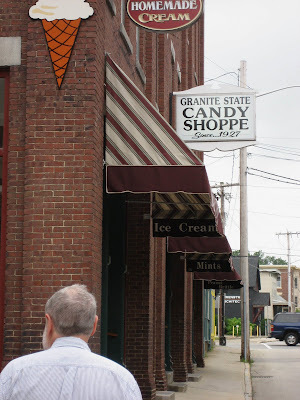 On Saturday George and Janet took me to visit a number of old haunts around Concord, NH –our old stomping grounds -including Granite State Candies, one of Max’s all-time favourites places. (Hey Max! They now make their own ice cream, too!) 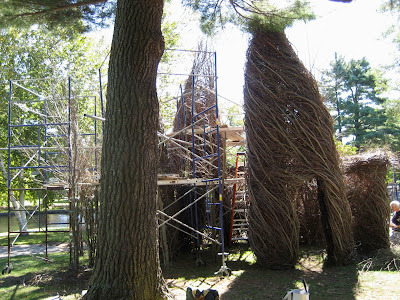 On Sunday they took me to visit more old friends - Harry Umen and Marguerite Walsh – both artists and former co-workers. I taught with Harry (along with George) at Notre Dame College in the early 80s and then in the late 80s taught with Marguerite at New England College. Both Harry and Marg have always been intense people and intensely dedicated to their art. It was wonderful to see them and especially for Marg and I to realise that from very different experiences and perspectives, we have come to very similar places in our creative lives: Marg has always been an extremely adept and prolific painter, but finds that she is now more driven to write and (inspired by her relationship to her kids who are both adopted, as well as by the fact that she now lives in the old family home) to explore notions of ancestry, place, identity and belonging. I think we both felt somewhat amazed at the similarities of our interests. Marg promised to send me some of her writings...I hope she does. We then visited another old friend, BethAnn O’Hara and perhaps a bit of background is in order here: George, Harry, Bethann's husband, John and I worked together at Notre Dame where we became friends (actually they were already friends, I was the newcomer). They would regularly get together for fabulous feasts and I won my place in the group by offering my specialty – authentic Mexican food – which in those days was a rare find east of Texas. For a number of years, we seemed to get together almost every Friday night...and the food was always fabulous - though I can remember a sushi party that was nearly fatal: Marg got caught up in a conversation and lost her culinary focus. George and I realised - just in the nick of time - that Marg had spread the nori roll she was making with about a half-an-inch of wasabi! Even though we haven't been together for a number of years, there’s still a deep connection and a shared history of times that were important and transformative to us all: It was during this time that Bethann and John courted and married each other (George got a JP's license and married them in the shortest ceremony on record, while I built the chuppah (traditional wedding arch) from a silk parachute and hundreds of paper flowers); and that Max was born to Ed and me (a surprise baby shower was held at Harry and Marg’s house); and that Mickey was born to George and Janet (the surprise baby shower was held at my house and apparently as Janet was arriving, 5-yr-old Max yelled out of his bedroom window, “There’s no surprise here!”; it was also during this time that Harry and Marg adopted Benny the first of their 2 children. John died last year, but he was a lovely, thoughtful, soft-spoken and kind man and he and Bethann had a wonderful marriage. It's clear that Bethann's grief is still very tender and she's also been unwell for a number of years, yet her spirit seems indomitable. I'd forgotten how full of joy and life she is. It was wonderful to reconnect with everyone and caught up in the glow of how lovely it felt to remember, I asked George if we could drive past my old house on the way home. 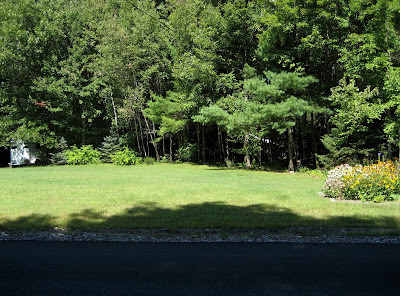 We did and I was dismayed to see that my beautifully wild field of sweet fern and the pear trees Max and I planted had been replaced by a neat and tidy lawn. It hurt. The next morning, I picked up a rental car and with no clear destination, I headed off. I found myself drawn immediately back to our old house and sat out front for a while trying to understand what was drawing me there, what I was meant to do. I mourned my beautiful sweet-smelling field and it didn't feel good to be there: it was distressing to see how gentrified the place had become. 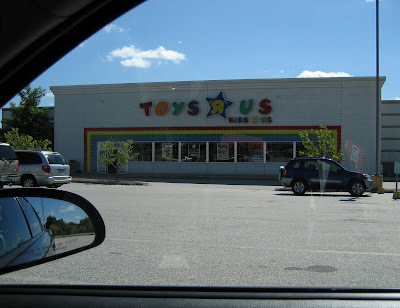 I left and drove past a number of places that had been significant to our lives together: the place where Max and Ed shot off their Estes rockets, Max’s personal Toys R Us, and the Friendlies Ice Cream Shop where Max re-invented their Conehead Sundae to something all his own (their’s was a clown face made from a scoop of vanilla ice cream, decorated with M&M eyes nose and mouth, topped with hot fudge sauce, an upside down ice cream cone and whipped cream). Max being Max wanted strawberry sauce instead of hot fudge and when it arrived, the waitress looked rather shaken – the strawberry sauce took the cutesy clown conehead sundae to an entirely different level – Max’s conehead looked like the victim of an axe-murderer with red, strawberry goo dripping down the sides of it’s M&M face. Everywhere I looked, I felt flooded with memories and the nostalgia felt sticky and unresolved. 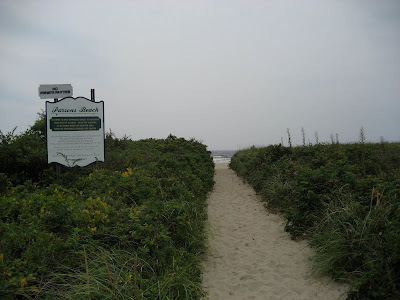 I headed east – towards the beach – feeling that I needed to stand at the edge of my ocean...the Atlantic. I stayed the night just south of Portland, Maine – at Old Orchard Beach. 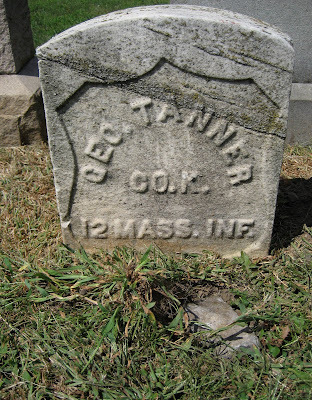 I thought I might spend the next day researching the Tanners who came here from Ireland in 1852. 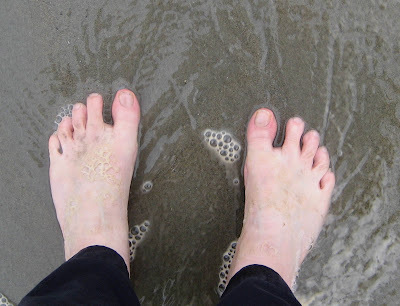 I walked the beach and stuck my toes in the (icy) water while thinking about the work I'd come here to do. I felt unprepared for the flood of nostalgia almost like the ante had been upped in some very real sense: and confronted the realisation that this work is not at all abstract, it's about us, the real us - in all our convoluted, glorious and troubled history. It became all the more clear to me that I need to do whatever I decide to do very well and with the utmost care, love, clarity and respect - not only for the dead, but for the living. I felt suddenly moved to play with some glyph images. 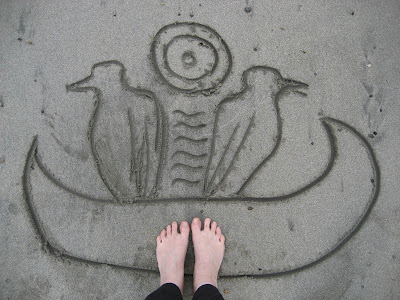 I picked up a small stone pointed and drew a boat with a sun-symbol and two crows in the sand. It’s been a humbling few weeks. 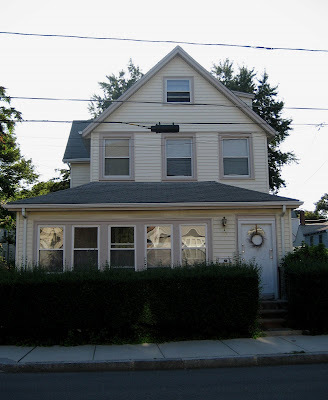 The first of it was spent on Nobel St in Malden, Massachsetts in the house where my mother and Uncle David grew up. The Noble St house has been in my family all my life: first it was my grandparent's house then My Uncle David and Aunt Barbara bought it from my Grandmother in the late 60s. They raised their family there and live there still. The house sits in the midst of a neighbourhood that at one time was filled with family. Around the corner from Noble St was the home of my great-grandparents, George (Magnus) and Louise Tolstrup -a place referred to as 90 Jacob St - where my Grandfather Louis grew up. Cousin Dave took me there and we stood outside speculating about their lives; trying to fill in the gaps between the documentation of our ancestors lives - the censuses, birth, death, marriage and baptism records and their day to day existences, their hopes, dreams, fears and joys. Up another street lived Aunt Dot, up another lived Grandma Moller; My Uncle remembers being constantly in and out of the neighbouring homes of uncles, aunts, cousins, grandmothers, grand-fathers, great-grandmothers and so on. For me, the Nobel St house is a house full of memories, most of them happy and most centered around wonderful moments spent with my Nana Tolstrup. I can remember sitting at her kitchen table, sorting through her button box while she cooked dinner; or sitting on her back porch (which she called the ‘piazza’) happily snapping the ends off of string beans. Simple pleasures. Days spent with Nana in my young childhood were always special. She had a way of making me feel that there was no one more important to her than I, nothing more important to do than whatever it was we were doing. Sometimes we’d ride the ‘trackless trolley’ downtown and go to the five and dime where Nana would by bobbie pins, or thread or whatever little sundry she needed; we once went to see the movie Sleeping Beauty – a truly special event just for the two of us - on a weekday afternoon. Sometimes, we’d stop at the drug store to get an ice cream soda at the soda fountain. My grandmother is gone now and so is the trackless trolley. Soda fountains have gone the way of the dinosaur and drug stores have changed their name to protect the (not so) innocent: that is depressive housewives and high-level execs can fill their prescriptions for Zoloft without ever having to confront the word ‘drug’. Both Aunt Barbara and Uncle David are busy, interesting people: they have variously (and jointly) pursued their passions for history, gemology, puppetry, wine-making, magic and the natural sciences (amongst other things). In the house now is a room we refer to as ‘Uncle David’s room’ where he keeps his treasures: a room filled with collections and cabinets of tiny drawers – each holding some extraordinary thing – a precious gem, a glass eye, an Amazonian beetle, a fox skull, a magic trick or perfect venus comb seashell. My favourite of all his thing, though was an orrery he once bought at a local yardsale (a working, chain-driven mechanical model of the solar system he almost passed up because it had a $4 price tag). A truly marvelous thing. Now past the age where others retire to golf, TV & knitting, Aunt Barbara hosts her own interview program on the local-access TV station and Uncle David works as an interpreter/guide at the (wonderful) Boston Museum of Science and (one of my favourite places in the world) the Harvard Museum of Natural History. They’re both great people, unique in all the world. My experience of the house this time is mixed, though. It’s a house full of history, but much of it feels thwarted and stuck. I can’t help but wonder if along with the warm, happy memories of love and family, the house also holds the thwarted dreams and desires of all those who passed through. Perhaps this place is not only the door through which my ancestors might pass from their new world homeland to their ancestral one, but also from this world to the next. There’s an angry ghost in the basement whose energy it seems many have sensed, but few talk about. All I know is that the energy seems stuck here and this relates absolutely to the work I came here to do: to create a trail for the ancestral spirits and create a way for them to return to us and to their ancestral ground. My computer is fritzing and until I can work out the bugs, blogging may be difficult. I'm hoping it all turns out to be a minor glitch, so stay tuned. Thank goodness for online data storage! Uncle David took Dave and I to visit the cemeteries where George Tanner and Magus Tolstrup are buried so that I could put my stones on their graves. Aunt Barbara came along. We went first to Everett Cemetery to find the grave of George Tanner and looked up and down several rows before Dave suddenly came upon it. 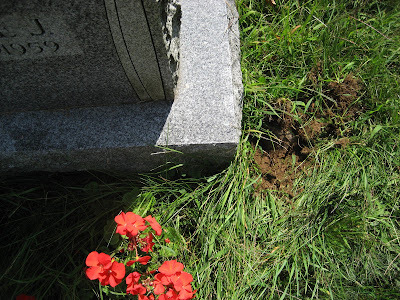 I'd brought along my stone from Maeve's Mound and had meant to justlay it on the top of the grave, but both Uncle David and Dave had suggested that if I simply left the stone on the grave, the maintenance staff would likely remove it. So, I buried it instead (along with a little piece of quartz) then whispered a wish that the stone might help George and all his descendants find connection to his Ancestral Irish homeland. 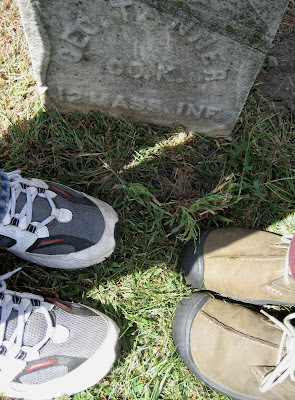 Though I'd forgotten, my parents are also buried at Everett Cemetery, so we visited their grave, as well. 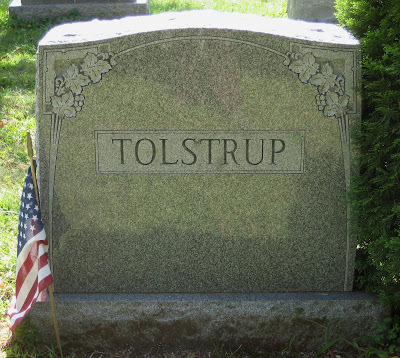 Their grave felt oddly disconnected to me: we'd buried their ashes together after my father's death as a way to console my grandmother Tolstrup. Their choices - to be cremated and their ashes dispersed - without a wake and without a gravesite had left Nana without the comfort of the death rituals she'd always known. There was no place to go to for quiet contemplation and grief; no where to place wreaths and flowers. When Dad died, Uncle David asked me if we could bury the ashes in a plot at the cemetery so that Nana could gain some semblance of a sense of closure. Knowing that my parents never meant their funeral arrangements to cause my grandmother any distress, we agreed. Nana's gone now, though and standing at their grave, I wondered if my parents might now want me to disinter their ashes and dispose of them as they'd originally wished. 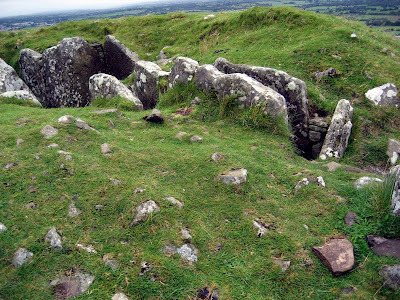 There could be no compelling reason to keep them here: not only did their consignment to this place contradict their desires, but the places themselves and the rituals of burial here felt sanitised and abstract compared to what I felt at Loughcrew and Bear River. There is, it seems, a difference between burial grounds and sacred spaces; funerals and ancestor ceremony. 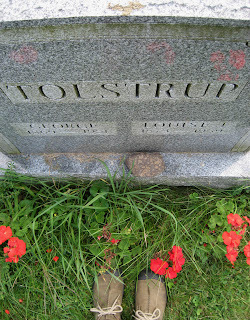 We continued on to Forrestdale Cemetery and quickly found Magnus Tolstrup's grave. 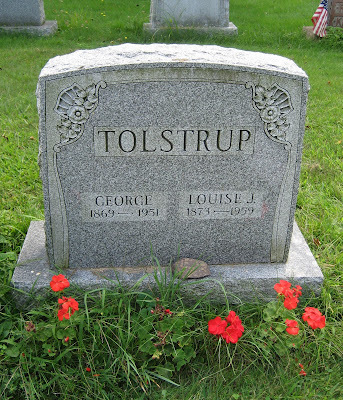 We had a moment of laughter when I read the inscription: George Tolstrup. Uncle David had continually been telling me that his grandfather was George, not Magnus, and indeed Magnus himself had called himself by his middle name, George from the time he came to America. (He's still Magnus to me). 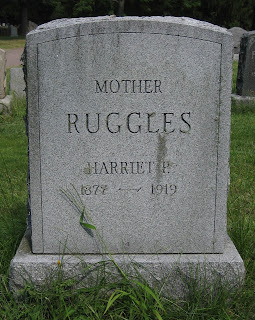 Buried with him was his wife - my great-great grandmother, Louise (Moller). I began to dig a little hole for the stone I'd brought from Norway and it suddenly dawned on Uncle David what I was doing. Uncle David is an old rock-hound (and gemologist) from way back and I'd already shown him the Rekkevik rock (because it is unusual) and also that I had picked it up at the ancestral Tolstrup farm. 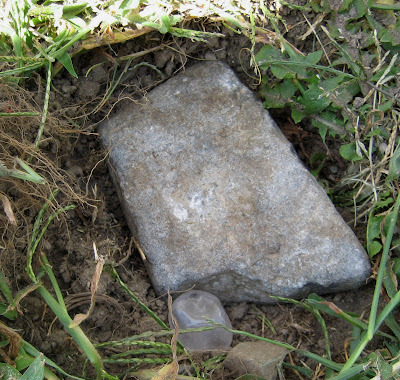 As I was burying it, Uncle David asked, “Is that the stone from Norway?” I answered that it was and that I was buring it there as a way to connect Magnus back to his homeland. To which he smiled and said, “That’s good.” With it, I also buried a piece of quartz and whispered a wish for Magnus' easy passage to his ancestral homeland. 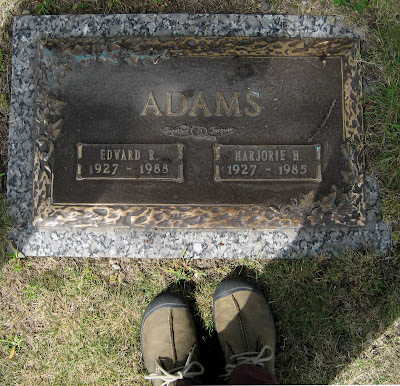 Grampa Adams and Great-grandmother Ruggles. For each of them, I left pieces of quartz. Like Everett, Forrestdale Cemetery - while more peaceful, and certainly more beautiful - is an oddly empty place: unlike the cairns I’d visited in Ireland, there’s no sense here that death relates to life; there's no sense of continuity; no magic. I would, however like to express my deep appreciate for the efforts made by my Uncle David, Aunt Barbara and cousin Dave to help me complete this piece of my task. Thank you. I love you all. 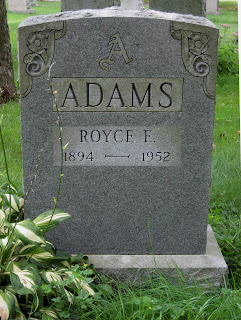 Went to the Adams Family reunion and apart from Jim, Mark and Dave, it featured a room full of 40 or so people who I really didn’t know. I think most everyone was in the same boat. There were factions of people who seemed to have some on-going combined history, but for the most part people were strangers to each other...and almost everyone was a stranger to me. This reunion was the doing of my father’s only surviving sibling, Aunt Alice who I last saw at my father’s funeral 20 years ago. Also present was her husband, (Uncle) Bob and their children Steven, Chris, Mary and Mike who I last remember seeing when I was about 10; My cousins Beverly and Doug who I’ve probably not seen since the 1950’s; and my cousins Adam and Matt who (despite seeing them the night before) I hardly knew and had seen only once before that when I was about 15 years old. Though somewhat surreal, the day was pleasant and I think that’s mainly because we all just wanted to get together. Aunt Alice and Uncle Bob seemed genuinely happy to see me - actually to see us all - and despite the busy-ness of the day, I managed to have quite deep conversations with both. With Aunt Alice there was a lovely conversation about our shared appreciation for my father: I know that she was closer to him than any of his other siblings and it was nice to connect with her that way. She is one of the few people who sees him the way I do – most everyone else is/was a bit in awe of (or felt intimidated by) him. Aunt Alice and I talked about my the depth and strength of my father's character; his deep love for his family; his goodness. We both miss him, immensely. Uncle Bob expressed his (surprisingly deep) appreciation for my adventuresome (restless) spirit and wanted to know - in great detail - about Max's and my life abroad. Most of the people present were my generation of cousins: I caught up with a few of them, spoke to their wives and children (some near-adult 2nd cousins from Cleveland who are now plotting their own travel adventures in Australia), but the most glorious piece of it all was my 2nd cousin Julia (daughter of my cousin Dave) and her lovely little family. Julia is married to a wonderful fellow named Chris and together they have a gorgeous pistol of a daughter, Ella. Julia is of Max’s generation and she, like Max, handles and manages the insanity and intensity around her with grace and dignity. Perhaps the difficulties of their early years is what has helped forge them into such remarkable adults, but I think both of them must have been born with an extraordinary sense of self to have become such strong and clear adults. I am grateful for the opportunity to get to know Julia better, am hugely proud to be related to her and am very happy that she has made it a point to reconnect with Max . I am going to encourage him to attend to that connection. I Arrived in Boston just in time for the pre-reunion reunion: that is a reunion of the various, disparate factions of my family who are related through an intertwined series of marriages, divorces and liaisons. Follow this, if you can. First, my father Ed (Adams) married my mother Marjorie (Tolstrup). They had 2 daughters - me and my sister Suzi. My father's sister (Laura) married my mother's brother (David). They had 3 sons, David, Mark and Jim. 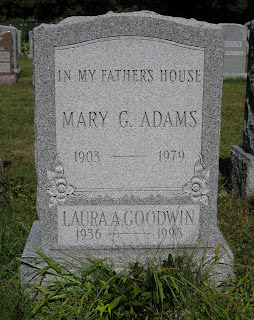 David and Laura were friends with Carl and Barbara Goodwin, who had 2 sons, Peter and Paul. So far, so good. Then Carl and Laura fell in love. They divorced their spouses, married each other, and had 2 more sons - Adam and Matthew. 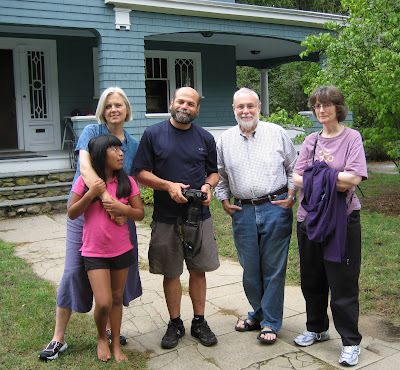 Sometime later, David and Barbara married and their families merged: David, Mark, Jim, Peter and Paul were raised together in a house on Nobel St in Malden Massachusetts that originally belonged to my grandmother and grandfather Tolstrup. So, the official Adams family reunion included David, Mark, Jim, Adam and Matt, but not Peter and Paul. This despite the fact that David, Mark, Jim Peter and Paul were all raised together as brothers. Complicating matters is the fact that, though they were not raised with any of their half-brothers, Adam and Matt are related to Dave, Mark and Jim through their mother and to Peter and Paul through their father. Because there is no blood tie, Peter and Paul were not invited to the Adams family reunion and everybody but them seemed a bit disgruntled about it. The solution manifested itself as the pre-reunion reunion where ALL of the brothers, their wives and children (and in one very special case grandchild), David & Barbara were present. I arrived out of a month's worth of ecstatic adventures and was welcomed into the fold as a kind of prodigal daughter. It was really quite wonderful. These people are my people. I’d decided to stay in Digby, Nova Scotia – a lovely little seaside town, known as ‘The Scallop Capital of the World’ (apparently a valid claim as it boasts the largest scallop fleet anywhere) My first few days in Nova Scotia were spent engaged in genealogy research. 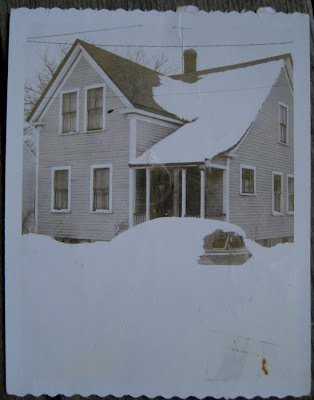 I combed the documents and records housed at the O’Dell House Museum in the colonial town of Annapolis Royal with the help of their historians and genealogists. The searches were not at all difficult due to the fact that my Colonial ancestors here were prominant citizens and are both well-known and well-documented. Having been Loyalists during the American Revolution, they were rewarded by the King of England after the war with substantial grants of land in Nova Scotia. Yet, the region’s English Colonial history is an uneasy one. Just below its glorified surface lies another truth involving the dis-enfranchisement of the Acadians and the slaughter of the native Mi’kmaq. 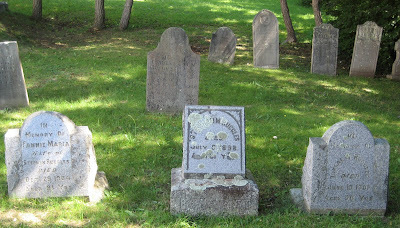 The O’Dell House historians helped me locate a number of ancestral gravesites and I headed off to the Old St Edwards cemetery in Clementsport. 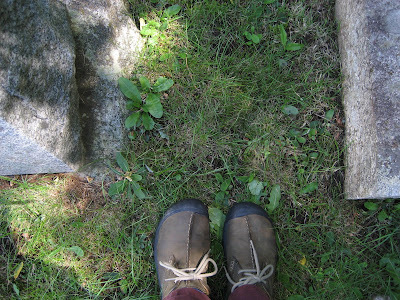 I still felt a bit disconnected and uncertain about my tasks in Nova Scotia and found myself standing at their gravesites and asking my ancestors what they want me to do. On the way home to Digby, I felt a strong pull to drive through Bear River – an ancestral place, but only marginally - and stopped at a local museum. This one, too, presented history that had a decidedly English bias, and I left feeling no real connection and as if a deeper story remained untold. My last day though took a remarkable turn. I woke feeling energised and knew immediately that I wanted to go back to Bear River, but this time to visit the Bear River First Nations (Mi’kmaq) Cultural Centre. The history of the English settlement of Nova Scotia is a shameful one. Whereas the French lived in relative harmony with the native population, the English wanted nothing more than to rid the place of its native inhabitants and set about instituting a series of eradication policies: It began during colonisation with Cornwallis, 1st Governor of Nova Scotia (and considered some kind of hero), when he enacted a law that set prices for the wholesale killing of Mi’kmaq natives: 50 pounds was to be paid for each adult male scalp, 40 pounds for each adult female, and 60 pounds for every child’s scalp (wipe out the next generation and you wipe out the problem). Unbelievably, this law was still on the books until it was recently removed due to pressure from the Mi’kmaq community. only recently (within the last couple of years) formally removed from as was the renaming of the district – the area that used to be called Cornwallis, has now reverted to its native name – as one Mi’kmaq man said to me, referring to the area as Cornwallis was akin to having a Hitler Blvd run through a Jewish neighbourhood. When Cornwallis’s policy failed to solve the pesky native problem, they were denied access to their ancestral hunting, planting and fishing grounds (places teeming with life) and forced instead to live on reservation lands – the poorest land in the area – set on hard rocky ground (which was absolutely untillable) and without access to water. Still the Mi’kmaq managed to survive starvation, so they were give blankets infested with smallpox which dropped their numbers almost – but not quite - to extinction. When policy after policy meant to wipe out a people failed, policies were instituted to wipe out their culture. Children were sent to Indian Schools where they were not allowed to dress in native clothes, speak their native language, follow any sort of traditional ways, nor associate with their siblings or other family members. Scores of children died, those who didn’t struggled with issues of identity – neither white enough to be white, nor Indian enough to be Indian. Those are issues still being unravelled today. I went to the Bear River First Nations Cultural Centre where it was my great good fortune to meet a Mi’kmaq woman named Wanda whose life has been dedicated to relearning the old ways, reclaiming the dignity and pride of her heritage and passing both on to the younger generation. I am extraordinarily grateful for the generosity she showed to me in sharing her stories and her culture. She first told me – in more general, but unequivocal terms - about Mi’kmaq history, but as our conversation deepened, she shared her own experiences. She is 53, so the same generation as I am. She told me that she and her sister were the only native kids at her school and they had been given a pretty hard time. She said that early on she became a warrior – both as a means to protect her sister and to stand up for herself. She also told how – as a 15 yr old – she once wrote a history assignment about Kejimkujik park – a local National park that was ancestral ground for the Mi’kmaq and a place filled with the petroglyphic evidence of their habitation. Rather than gather facts about Keji from books in the school library, Wanda wrote an essay based on information she gathered from her grandmother. When her teacher returned her paper to her every page was marked with a X drawn through it and the grade assigned was a big, fat, red 'zero'. Despite Wanda’s mother’s attempts to intervene on her daughter’s behalf, the school refused to change her grade and Wanda (then 15) decided to drop out. 30 years later, not knowing who she was or her history with the place, the new principal asked her to come to the school and teach the kids about native drumming and song. He also asked if she knew anyone who could teach the students about basket-making. Wanda asked her sister to come. Her presentation was such a success that the principal asked her if there was anything he could do for her. She asked if she could walk through the halls playing a healing song. He agreed and she said it was one of the most powerful moments of her life. When she finished her story, she had tears in her eyes. So did I. Everything Wanda said, she said from the heart and our conversation felt more like the affirmation of an old bond than the forging of a new friendship – maybe it was a bit of both. I told Wanda about my travels and my quest and shared some of my ideas and inclinations regarding what I need to do for/with my ancestors. She immediately understood it’s significance and importance. I asked her if there are things the Mi’kmaq do to honour ancestors that I might incorporate. She talked about preparing yourself for any sacred work by smudging – cleansing your mind body and spirit with the smoke of sweetgrass and sage – so that your eyes see the good, your heart feels the good, your ears hear the good, your mind thinks the good and your mouth speaks the good. She went on to talk about language and said that she feels not only is it her particular duty to preserve and perpetuate the beautiful Mi’kmaq language, but to speak it properly so that her ancestors will understand her. That resonated for me with my sense that when I sing to my ancestors it needs to be in their first language. In a sense it has felt like to proper way to honour them and to show my respect. After walking around the centre’s displays and talking after we’d spent a couple of hours sharing stories, ideas, tears and laughs, she told me the real meaning of the word Kejimkujik...but I can’t say, because I promised I wouldn’t tell! I spent about 3 hours looking through the displays and talking with Wanda (more talk than anything else) and Wanda said she wanted to sing me a song before I left. Her song was beautiful. Her drumming, rhythmic and concentrated, her voice crystal clear and strong. Her song was a prayer to the ancestors asking them to help us, to help our children and to help us heal the world. she told me that there was a Gathering being held nearby at Stone Bear a camp run by the former Chief Frank Meuse and said I should go. She said that Frank is the most deep, clear, kind, centered and quiet person she‘s ever known. Frank is no longer the chief: that post is now held by his sister Theresa. Just as I was leaving, I found a book about Mi’kmaq glyphic-symbols...they are very beautiful – almost like Sanskrit - and as I was paying for it, she gave me a Mi’kmaq 1st nations pin and a little DIY Inuit inuksuk paper sculpture kit. I asked her if she’d inscribe a message in the book for me, which she did. We hugged, exchanged contact info and found it hard to part. I went to Stone Bear and Frank came outside to meet me. 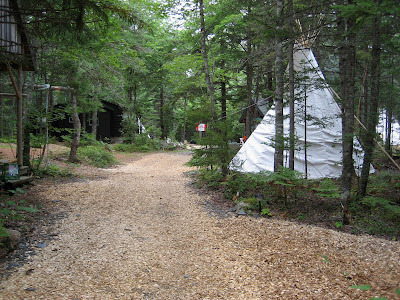 He told me about the camp, said that everything is informal and open-ended, but that sometime later he’d be leading a walk through the woods if I’d like to come along. He also said that there was a sacred fire up the path and that if I wanted to I could go there an introduce myself to the fire keeper. That sounded immediately appealing, so I walked up the path and there was a man and 2 women sitting near the fire. I asked who was the fire keeper and one of the women said, “I guess I am”. She came over and introduced herself as Theresa and asked me if I knew about sacred fires. I said, “not much”and she said that the first thing she’d do is smudge me and then she’d explain the hows and whys of Mi’kmaq prayer: what the directions and colours mean (yellow for east and the rising sun, red for west and the setting sun, black for south and the ancestors, white for north and the community/world) how to walk the sacred circle around the fire (clockwise) and that there is no right prayer – but hers always begin with a thanks to the creator. She also said that each prayer is offered by sprinkling the fire with sacred herbs – sage & sweetgrass – the smoke carrying the prayers up to the creator. This is something I’ve always known and always done. She explained smudging – like Aboriginal smoking ceremony it cleanses your heart, mind and body of negativity, She smoked me and I picked up a handful of sacred herbs from a bowl by the entrance, then walked the circle: first, standing at the east point, thanking the creator for the gift of being on this journey, and in this place with these people and sprinkled herbs on the flames. I moved clockwise to the south point to pray for my ancestors and was engulfed in smoke momentarily stopping my breath and making it impossible to see. I made my prayer asking for their forgiveness and promising not to forget them again then threw more herbs on the fire. moving to the west point, I prayed for Max’s safety, and for health, happiness and a good future for Max and Ebbie; Julia Chris and Ella and all the generations to come after me – then sprinkled more herbs into the fire. They crackled and sparked and flames shot up. Moving to the north point, I prayed for the world – that it become a kinder place, that it shift it’s focus from the profane to the the sacred. I sprinkled the last of my herbs. Frank told me that the Mi’kmaq consider stones as our grandmothers and grandfathers – and Theresa added that all stones are sacred because you never know which stones your ancestors may have walked on and which were used for the sacred fire. It’s also believed that the heat of sacred fire releases the spirits of the ancestors from the stones that circle it so that they can more easily speak to us. I told them both about my travels, my sense of needing to shift stones around in an effort to reconnect my ancestors with their native lands and we laughed about the fact that I am consequently dragging around a suitcase full of rocks. Theresa said ”Here’s another one and handed me a beautifully round piece of granite covered with (painted) sacred symbols. 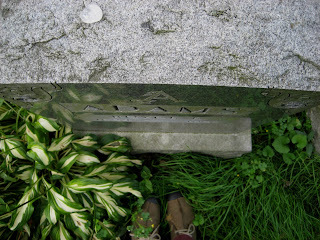 I was incredibly touched and walked around for the next hour or so, with that stone cupped between my hands. A bit later, Frank led us on a walk through the woods. Following happily and aimlessly like children – with no particular schedule or place I had to be -I learned how to stop and listen, to be careful where I stepped. Frank is a man of few words, but he listens intently. I told him that the work I’m doing now makes me feel like a pivot point between the past and the future (my ancestors and my descendants). Like it’s my job to forge the links, build the bridge. A sign tacked to a Birch tree says that Birch is a pioneer. In the Ogham alphabet, birch is my symbol. I feel like a pioneer here. At the end of the trail I stop to read a sign that is tacked to a tree. 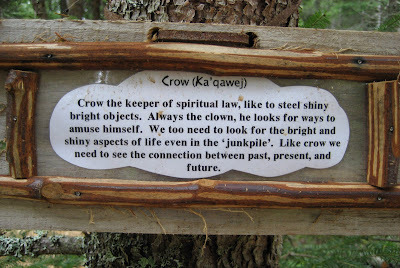 It's about crows and says that crows connect past present and future. I told Frank that all over Ireland, I kept seeing crows and kept picking up crow feathers. He replied – that’s what you just told me...you’re connecting the past, present and future. I walked back to the fire and sit with Theresa. I wanted to share more stories with her, but changed my mind...it felt better to listen. Theresa invited me to stay the night – she said she’d find blankets for me, a corner to sleep in, extra clothes if I needed and that I was welcome to supper. I was sorely tempted. I told her I'd come back and next time I'd stay with them. As I said goodbye to Theresa, she handed me a bundle of sacred herbs, tied in a red cloth. During the night I woke twice feeling confirmed somehow: I remembered Wanda telling me that speaking Mi’kmaq language was important to her because she wanted to be sure that her grandmother understood her properly and it confirmed my feeling that I must sing to my ancestors in their language. I had also told her that my inclination was to sing to my ancestors – and asked her what she sang about when she sang to hers. She told me she thanks them and she asks them for help – for the sick, for guidance, for the young and the needy and sometimes to heal the world. I told her I felt that I needed to start with an apology, because mine have been so long neglected and she smiled and nodded ‘yes’. I thought, too about Frank and how he moved us through the woods: how quietly attending to his surroundings, stopping, looking and listening every few yards allows him to tune in to all of what’s there. He said that walking through the woods in that way always makes him wonder how his ancestors experienced the places they walked though and whether they had passed through this same piece of ground. He seemed to be saying that ALL of the land you move through is sacred...not only because of the possible presence of human ancestors, but because nature itself is our ancestor. 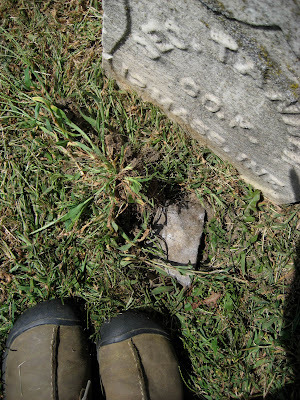 In talking to me about stones, Theresa seemed to confirm my feeling for how stones relate to my pilgrimage and the work I feel drawn to do for my ancestors. 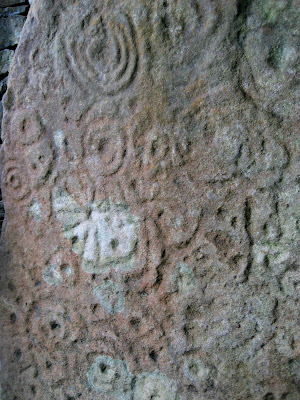 In handing me a marked stone, she also confirmed my inclination to carve glyphic messages. All of these lessons were subtle and indirect: no one ever said, ‘you’re right. That is how it should be done’ They simply told me how and why they do it. Often, without me even asking. 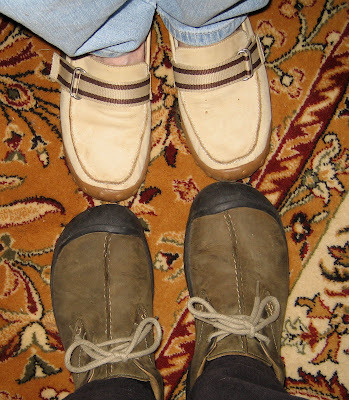 Our conversation simply seemed to move in directions that went suddenly bone deep and have worked their way under my consciousness as confirmations of intuitions I’ve had about how I might attend to my ancestors and to the sacred in my own life. Best of all, it seemed to confirm that it doesn’t matter so much where or how, but that I do it. and that I do it with my whole heart. 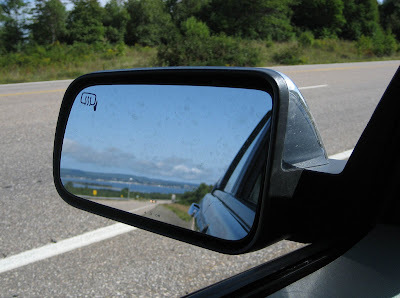 Driving to Halifax Airport, I kept seeing crows and thinking of them as reminders of my task. My clothes still smelled smokey from the sacred fire. The scent reminds me of my ancestors and the feeling of welcome I felt on the Mi’kmaq reservation. Along the way, I listened to Dar Williams sing ‘Road Buddy’and recalled scenes from ‘Smoke Signals’ I was thinking about the scene where Victor is transformed through his experience of running all night for help and realised that yesterday’s experience with Wanda, Frank and Theresa – like so many others on this journey – is transforming me. I am meeting people with an open heart and have been welcomed wholly and with joy. My eyes filled with tears and my heart was was suddenly flooded with a sense of connection and deep, deep gratitude. I said aloud, “I’m so grateful. I’m so grateful. I’m so grateful. I’m so grateful. I’m so grateful” and I am. Leaving Ireland alone for Nova Scotia entailed a bit of a brain-tweaking process that began with a lonely and dark 5am left-hand drive to Dublin – followed by a flight to Heathrow, another flight to Halifax and finishing with a long and tedious 3 hr right-handed drive to Digby. The last drive had a bit of a surreal edge as I passed a series of boasting road signs: ‘Birthplace of Hockey’, 'Home of Canadian Soccer', ‘Apple Capital of Nova Scotia’, and ‘Scallop Capital of the World’. Along the way, I felt sad and not at all ready for my European adventures to be over. I found myself talking out loud to my ancestors and asking them what I should do here. Our last day in Ireland was spent at Loughcrew: A wild and remote series of cairns that feature some of the most complicated and beautiful glyphs in all of Ireland. The cairns are situated at the top of a steep hill and our climb wasn’t made any easier by the raw and biting wind.. We thought the combination of remoteness plus the weather might keep other visitors away, but we pulled into the parking area just ahead of a tour bus. It proved not to matter. The other visitors headed straight for the central cairn, so I decided to hang back and explore the smaller cairns first. The remote location, lack of crowds and cold, misty, windy weather all lent an atmosphere to the experience that felt authentic and connected. 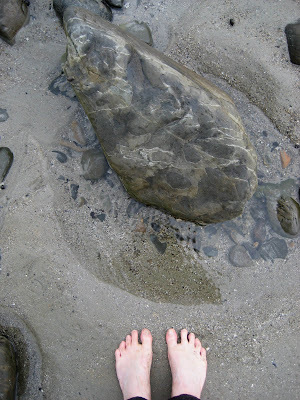 I took my time, stopping now and then to touch specific stones. When I finally arrived at the central cairn, the last of the visitors were about to go inside along with a man I assumed was their guide. He asked Jim and I if we wanted to come inside also and it was then that we realised that his job was to stay at the site and guide any visitors who were interested through the main cairn. 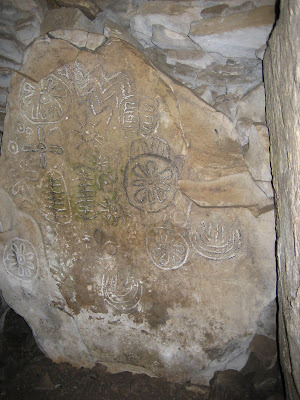 The inside of the cairn was astonishing: even the corridor passageway was absolutely littered with the most exquisite glyphs and I felt genuine excitement to be in their presence. I am fascinated by the carvings and can’t help but wonder about who made them and why: That they have sacred significance seems a given; just what that significance is, what messages they’re meant to relate and how it all relates to the culture (and people) who made them is the mystery. 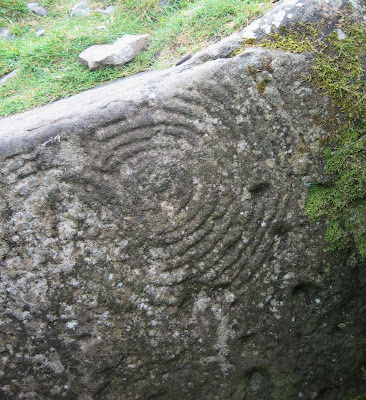 Our (very knowledgeable) guide showed us how on the morning of the equinox, the rising sun first illuminates a sun-like glyph on the upper-left corner of the central stone, before continuing down to the right, illuminating a series of three other sun-like glyphs before retreating from the passage and leaving it again in total darkness. As our other guides had done, he speculated on what this cairn might have been used for. It struck me that all of the cairns we’d visited – especially this one - seemed more related to life than to death. It struck me that the discovery of fragments of ancestor bone inside did not necessarily mean that the cairns were meant to function as burial grounds. 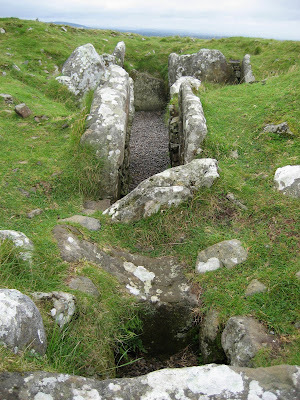 In fact, as I experienced the cairn, the idea that they were simply burial chambers made less and less sense. I asked our guide if perhaps the bone fragments might simply be a way to include the ancestors in any significant events. He brightened then, smiled and said that he’d always thought it unfortunate that the sites were labelled burial mounds by early archæologists because the label has since inhibited attempts to view them as anything else: He said he felt it was rather like discovering the ruins of an old church and graveyard and assuming – because of the presence of human remains – that the main (or only) purpose of the entire site was somehow related to death. 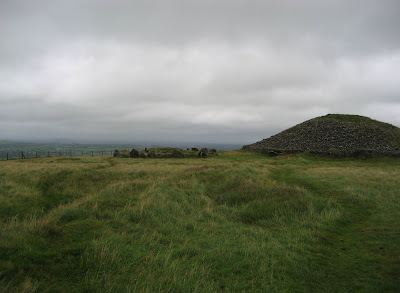 I have to say that of all the places we’d visited, Loughcrew was my favourite. 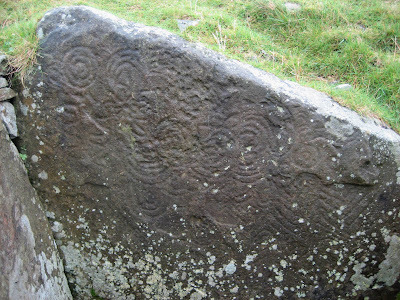 It resonates with a kind of hum and I felt deeply connected to the stones and as if the order of our experiences and the knowledge and understanding we’d gained along the way had been wonderfully cumulative. I know that each piece – the placement, siting and marking of the cairns and stones – relates to a larger whole in some significant way and felt inspired by the fact that I was only just beginning to understand their meaning and potential. The stones speak...now it’s up to me to learn the language.